Callender Howorth has specialised in multi-discipline luxury interior design in London for over 20 years. We transform residential and commercial properties into stunning spaces that reflect the needs and personality of our clients in prime locations, such as Marylebone. The projects undertaken include custom furniture design, interior renovation and complete overhaul. Our innovative team of Marylebone interior designers NW1 is ready to work with you to create your dream property. What have we designed in Marylebone? The Victorian properties that make up much of the area are a dream project for any Marylebone interior designers in NW1 to work on. Callender Howorth redesigned a charming Mayfair mews house, which was tucked away behind the Marylebone High Street. From outside the house retains all the allure of a Victorian building, but inside our interior architect has created a beautiful bright and open space which makes the ideal party pad that our client had intended. Our Marylebone interior designers NW1 also recently completed a project on a cobbled mews close to Regent’s Park which was one of our more innovative and unique, not least because we installed a swimming pool that stretches along the entire ground floor! The pool can be accessed from the master bedroom and offers a compelling focal point from all levels. 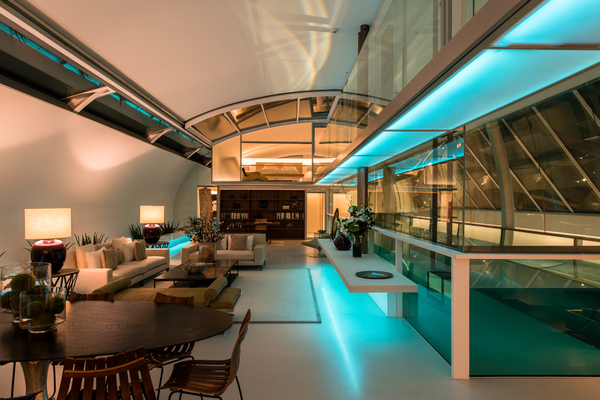 The ultra-contemporary house spans over 3 mews houses and state-of-the-art technology, such as custom gull wing windows that open onto the night sky,has to be seen to be believed. Marylebone might be just minutes away from the bustling West End and busy Oxford Street but it’s miles away in character. It boasts an aristocratic history whose evidence can be seen on the streets today, not least in the names of wealthy 18th-century aristocrats which adorn the affluent district’s streets and squares, such as Cavendish and Portman Square. Many of the finest buildings are from the Georgian era, although there are also later Victorian and Edwardian examples. A large percentage of the period buildings have been converted into flats, but there are still larger family houses closer to Regent’s Park giving Marylebone interior designers NW1 a lot to work with. Listed buildings include All Souls Church in Langham Place, which was designed by John Nash (King George IV’s favourite architect), Holy Trinity Church (now an events venue) and St Marylebone Parish Church – the Anglican Church that gives the area its name. Is Marylebone NW1 close to museums and exhibitions? Marylebone is a pocket of calm in the heart of London and has consistently attracted writers and those seeking inspiration on its leafy streets. Therefore, it’s not surprising that it is home to the fictional character Sherlock Holmes at 221b Baker Street where there is a museum dedicated to the popular character. There are a number of private art galleries in Marylebone. Asia House on New Cavendish Street and Colomb are two galleries that hold interesting exhibitions by both British and International artists. The Wallace Collection in nearby Manchester Square brings together spectacular art by the Old Masters and shouldn’t be missed by classic art lovers. Marylebone residents are spoilt for choice when choosing where to have their next meal out. The streets are lined with boutique shops and cute cafes where Marylebone interior designers soak up the atmosphere and seek inspiration; the area makes a nice diversion from shopping on Oxford Street. A visit to celebrity favourite the Chiltern Firehouse will be rewarded with some cutting-edge international cuisine in an 1889 Grade II-listed Victorian-gothic fire brigade building. La Fromagerie, Galvin Bistrot de Luxe and the hugely popular Patty & Bun burger bar are other great options. Why do you want to live in Marylebone, NW1? What famous people live there? NW1 is one of the most prestigious postcodes in London and Marylebone has been home to many celebrities and artists over the years. 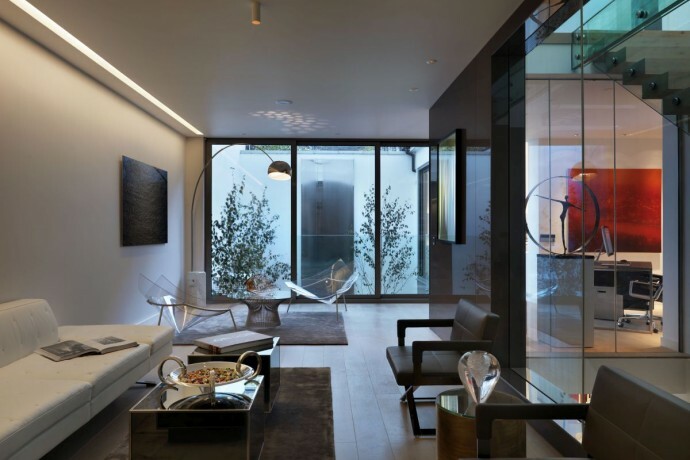 Marylebone interior designers in NW1 find it to be full of potential due to the number period buildings and mews houses being converted into apartments. Musician Noel Gallagher found an oasis of calm here, and Beatles member John Lennon and director Guy Ritchie have also fallen for its classy but laid-back charms. Some of the fantastic schools include St Marylebone C of E School and St Vincent’s Roman Catholic Primary School. When combined with the well-maintained squares and proximity to green spaces, the child-friendly facilities make this a dream location for families. Please contact our Central London interior design team for help with your project. We are more than happy to come to you to discuss your requirements.